I hope you are ready for some pretty sparklies, because this week I have got a great polish for you: one of the Color Club Halo Hues polishes, Angel Kiss. Now you know it's pretty gloomy in the Netherlands this time of year. 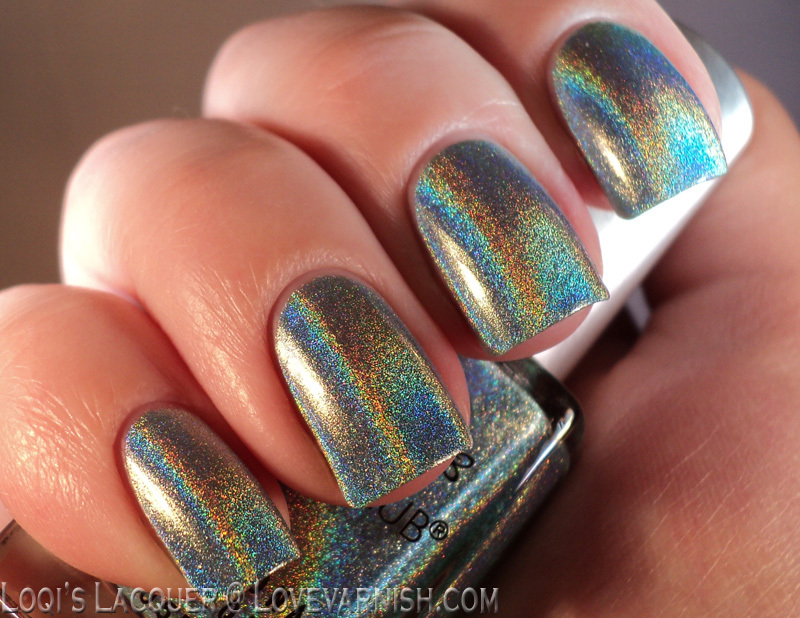 It's cold, dark and snowing, so this isn't really a good time to wear a holo polish. But these Halo Hues are really really strong holographics! There is always a visible rainbow with these colours and it doesn't get dulled by topcoat, like almost every other holo does. 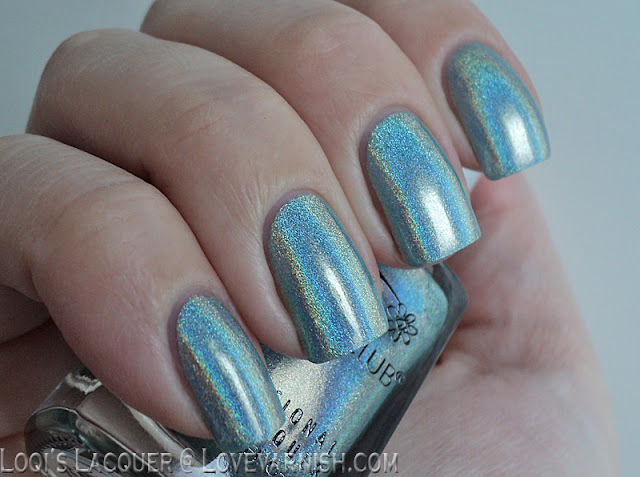 Shown here is 2 coats of Angel Kiss, a pretty seablue colour perfect for winter. And as you can see in the top 2 pictures, even with topcoat on a dark day, it still has great sparkle. But I know you want to see the full effect of this polish right? So the bottom 2 pictures were taken under a lamp to show you this beauty in full glory. Awesome right? I hope you guys like it, and see you soon! I've been lemming this one, it's so gorgeous! 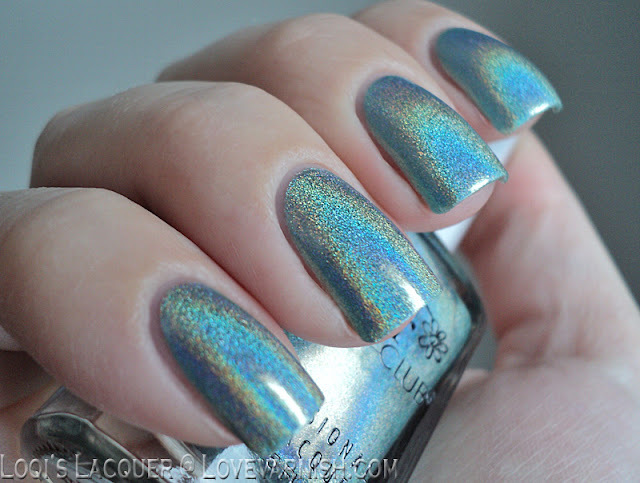 I LOVE the Halo Hues polishes! They never fail to brighten my day! This is so gorgeous!!! I really need to try mine soon. You really should ^^have fun! Oh man, your pics are gorgeous Loqi! 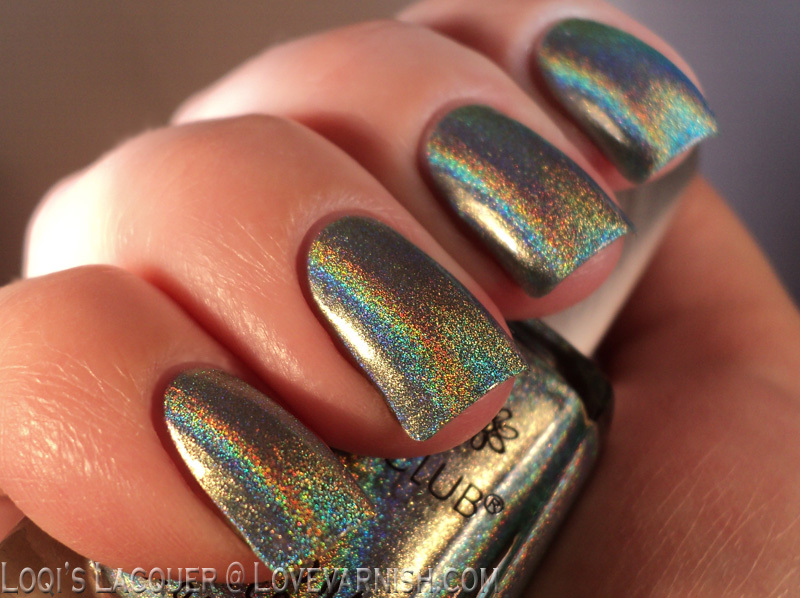 I LOVE these strong holo's that don't require direct sunlight! I love halo polishes! This one is gorgeous!